Thought I’d tell you story (short one), this Hugo (reg number is HGO) well he’s had very quiet life,in fact only one owner, who was vicar !! 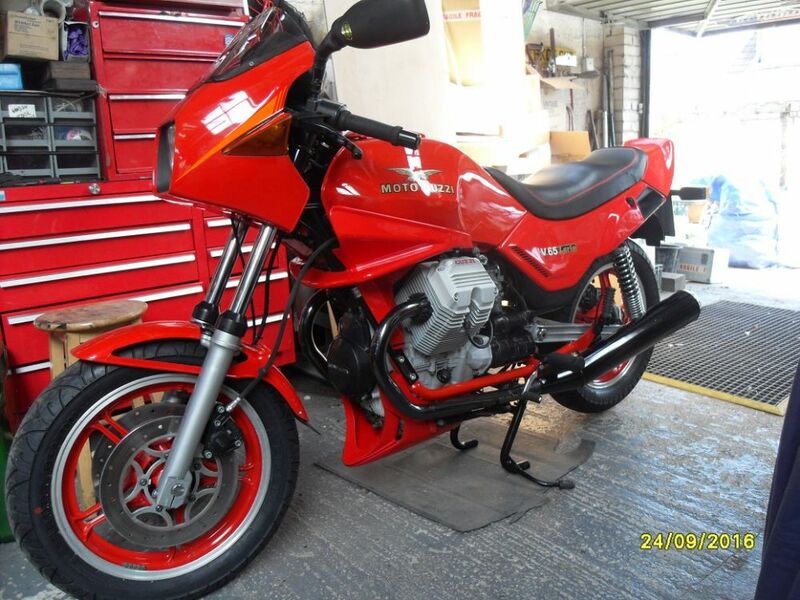 So no Sunday runs for this bike,if fact its spend most of this life in damp garages. Its one of the last mark1 (series 2) and only 6600 miles on the clock. The down side of doing nothing is that it just corrodes and so much so in 1995 it had to be “restored ” for which I've documented evidence with pictures and files(no invoices ?). I use the term restore but having seen all their work,it s more like a bodge artist and lets quickly tart it up on the kitchen table. There’s a long list of horrors I could talk about. Anyway fast forward Nov 2016. 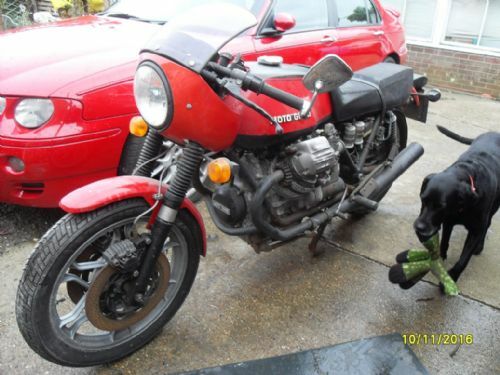 Bike arrives and looking worse than the pictures. Yes a bit of an impulse buy,but thats Ebay for you ,it was listed for all of 30 minutes! Lots spraying with WD40 ! Within a day it was down to the frame,front bolt had to be drilled out ! loads of sheared nuts but were rusty anyway. Couldn’t understand why there was play in swing arm ……oh look two nicely grease up spacers on the bench . When fitting fork fronts,Yokes, bars etc make sure you’ve got the fork dust covers on first. Anyway 5 months later it’s all done apart one side panel badge (being painted up)and an MOT. Waiting for the tank paint to go off totally and some dryer weather. The end ………who am I kidding , need run it for at least 250miles then re-check everything. Smashin' job, recognise the gaffs and erm, get yourself a heater!! Looks great, good work, looks very original too. How I have an issue as in my other lemans which I've owned for 34 years has been modified...do put this back to original, certainly needs a a bit of a tlc to get up to the standard of hugo. 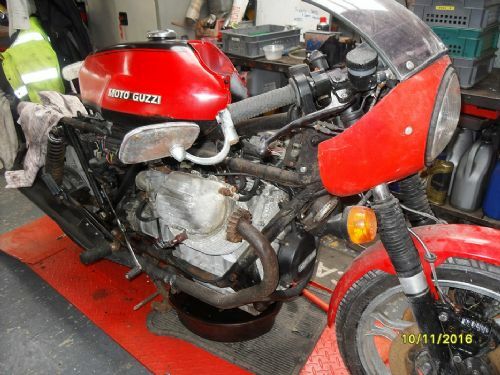 Inspiring story, encourages me to get on with my non-Guzzi project this year (Z1000). Thanks for posting, I enjoyed reading that. Are you keeping two LM1's? I have an LM1 which was very rough and a none runner when I bought it in 2009, and it came with (on ebay) a second LM1 which was completely in bits, some of it missing and some of what was there knackered eg flywheel, barrels, bent and missing fins etc etc. I have spent nearly £3,000 in the last 9 months getting parts together ready for the re-build of this second LM1. As I'm presently re-building another bike at the moment, it will probably be towards the end of the year before I will have built it. Then like you, I'll own two LM1's but because of lack of space will probably have to sell one. Not sure on the lemans,may sell this one in couple of years time. Rides really nice and still feels tight. I will never sell my original one which I had since 1983. The Lario will be sold once I can sort out the flat spot in revs between 2500 and 2900 . Its only one side (left hand) and worse when cold and I've tried everything. 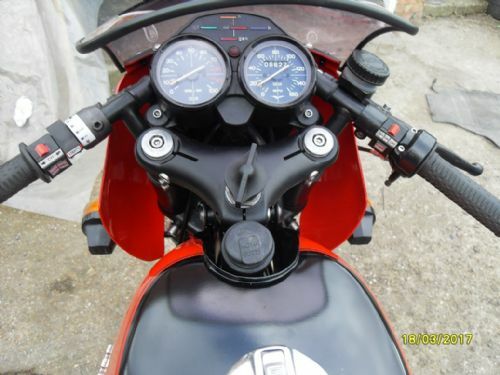 It ticks over and revs fine once past 2900 rpm. 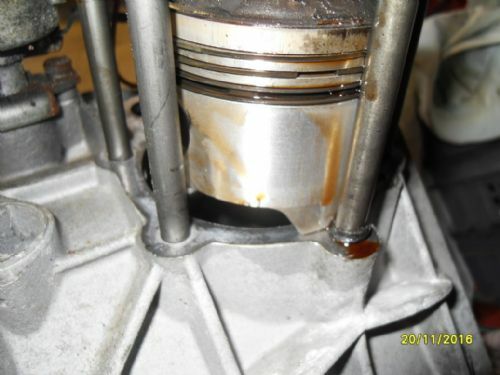 Its running weak (ie blocked jet) as if put the choke on it revs cleanly when cold. Carbs been off and cleaned/ checked so many times I've given up....and SORN it. I think we all like that picture. Lovely job. and such a pretty bike. Regards your 29ftX40ft barn of a workshop. You could build a 10ft X 12ft X 8ft insulated pod within the barn. I did this years ago in a barn I rented, it worked a treat and wasn't overly expensive. Looks like your new restoration is missing the black speed stripe on the fuel tank. That should add you 3-4 horsepower. 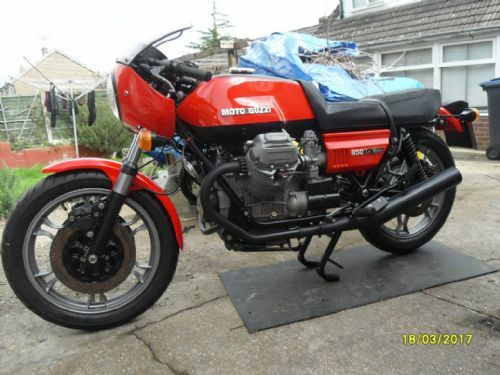 You must have quite a stock of moto guzzi red paint! Lovely collection and well done. Great History on the Lemon,owned by a vicar only 6,600 miles and of cause never ridden on Sundays ! .Sound investment. 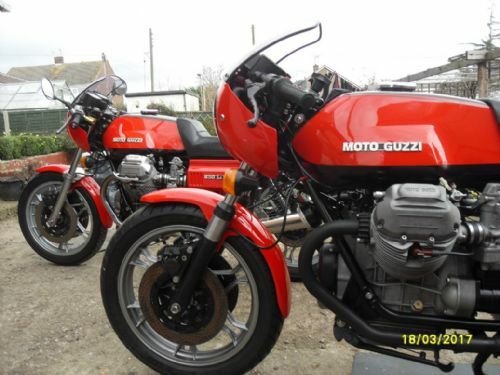 Lovely story, great looking bikes. Perhaps there should be a forum get together . Original seat still intact! Nice.